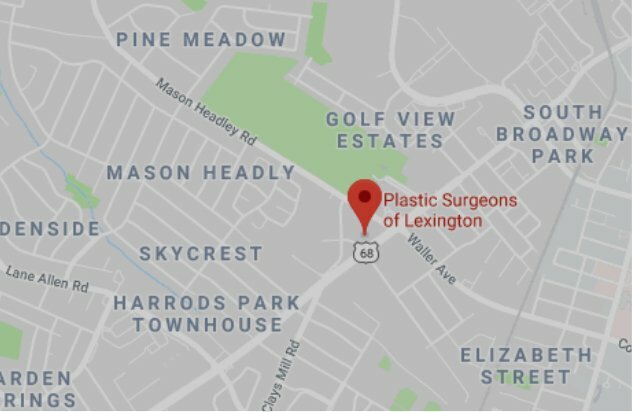 Here at Plastic Surgeons of Lexington, we understand how important your chin can be. A fatty double chin can create a round facial appearance and could significantly age your face. There are several different options out there to help you combat the double-chin and have your most defined jawline yet! Plastic Surgeons of Lexington is proud to offer Kybella. Kybella is an injectable that is administered in the soft tissue just below your chin. Not only does it correct fullness under the chin, but it is a safe and effective method that is performed in our office. The perfect candidate for Kybella is someone with subtle fullness and good quality skin under the chin. With that being said, not everyone is a candidate for Kybella. In this instance, patients could consider liposuction. If your skin is lacking in elasticity, there are still options. When considering a cosmetic procedure, it is always best to consult your physician so they can help you determine what the best solution is for you. Call (859) 276-3883 today to schedule a consultation. A strong and defined jawline can be yours. Call us today!